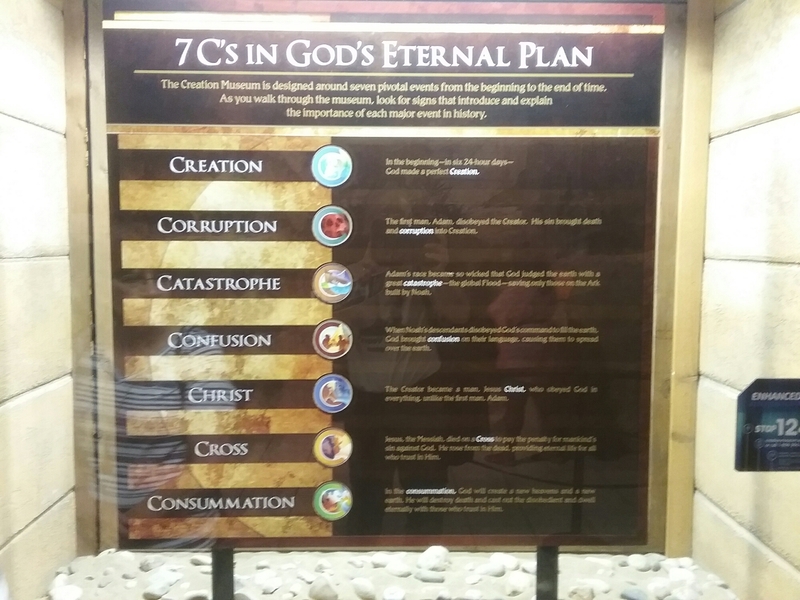 Bozeman creation conference – Does Genesis Really Matter? 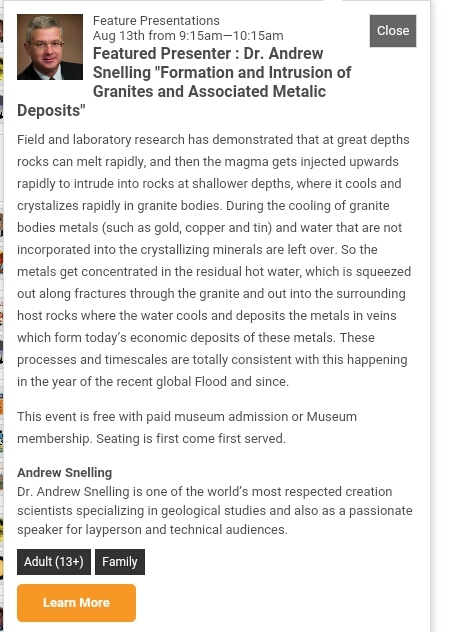 This is the second in a series of articles about a young-Earth creationism (YEC) conference held in Bozeman, Montana in April, 2016. 2. This article – Does Genesis Really Matter? – Yes Genesis does matter, whether a Christian believes in a young Earth or an old Earth. An M.S. in Atmospheric Science. If I used this question as an argument against a point they were making, I would be making an ad hominem argument, and I will avoid that. I certainly wander outside of my areas of expertise from time to time (I will write about Hebrew grammar in a bit). 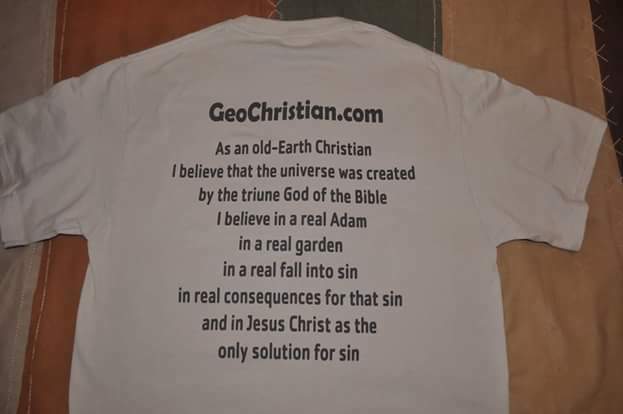 But it is certainly interesting that so few Christian geologists are convinced by young-Earth arguments. It will come as no surprise to regular readers of The GeoChristian that I found things to agree with in Mr. Thomas’s presentation. Genesis lays a foundation for a number of doctrines that run throughout the Bible, such as sin, redemption, and marriage. These doctrines have their beginnings in the book of beginnings, find their highest fulfillment in Jesus Christ, and are fully realized in Christ in the closing chapters of Revelation. As I have said in my Creation Creeds, I believe in a real Adam, in a real garden, committing a real sin, with real consequences. So, yes, Genesis matters. What Mr. Thomas failed to demonstrate is that accepting a young Earth is necessary in order for Genesis to matter. Mr. Thomas began by pointing to the decline of Christianity in our culture. Despite our many churches and institutions, the nation is become less Christian over time. Two-thirds of our Christian youth leave the church when they become adults (I would say that part of the problem is YEC). He then set up a choice: are we going to listen to God’s Word, or man’s word? Of course, I believe we should listen to God’s Word, but I am not convinced that YEC is the best way to understand God’s Word, and that a false dichotomy was once again set up: we have to choose between YEC and old-Earth evolutionism. 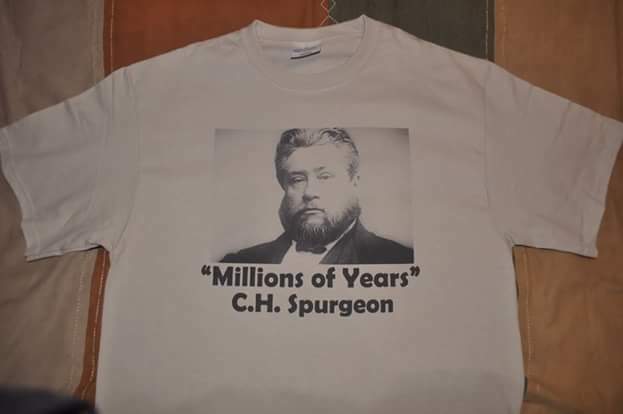 To his credit, Thomas did say that one does not have to be a YEC in order to be a Christian. I hope that sunk in with the audience. I will start by being nitpicky (though I don’t read Hebrew either): verse 2 starts with a waw disjunctive, but verse 3 starts with a waw consecutive, and some have said this distinction is quite important in understanding the relationships between these verses. In any case, Thomas’s point was that this story all flows as one event after another, a point that not all Hebrew scholars agree with. But even if the story were connected by one waw disjunctive after another, that would not require events follow one another immediately. In English, I could say, “My ancestors emigrated from Norway in the 1880s, and my grandparents moved to Montana, and I was born in Billings, and I went to college in Bozeman.” The word “and” would be the waw disjunctive, and nothing in this sentence requires that the events must have occurred immediately one after the other; only that they occurred, probably in the order stated. In reality, these events in my family history were spread out over a century. Mr. Thomas then stated that any time “day” is associated with a number in the Old Testament, the day is an ordinary 24-hour day. I have heard that this is a YEC rule of grammar, not necessarily a fixed Hebrew rule of grammar. Genesis 1 has a rather unique layout in Hebrew literature, and YECs do not always take this into account when reading the chapter. From many YEC presentations, there are only two Old Testament genres: historical narrative and poetry. In this, the YECs greatly oversimplify the issue. What is the genre, or type, of literature is Genesis 1? It is a narrative, but it is not a “historical narrative” such as what is found in much of the rest of Genesis. There are no true parallels of the structure of Genesis 1 in the Old Testament; indeed in all of ancient Near Eastern (ANE) literature. Yes, the days are numbered. But certainly some of these days are unlike any other: days with unique creation events, days without the sun, days that suggest lengthy processes. These distinctives must be taken into account. In any case, the Hebrew word yom (day) is used in a non-24-hour-day way elsewhere in the passage, such as 1:5 and 2:4. There are a number of other reasons to question that these were literal days, as developed in the analogical days interpretation. Does accepting an old Earth undermine any Biblical doctrines? Mr Thomas, like many YECs, said that if there was death before sin, the gospel is undermined. I would say that this YEC statement is not firmly based in Scripture. There is no passage in Scripture that ties animal death to Adam’s sin. Neither Genesis 3, Romans 5, Romans 8, or 1 Corinthians 15—the passages that discuss Adam’s sin—say anything whatsoever about animal death. If the Scriptures don’t tie animal death to Adam’s sin, we should not insist that there is a connection. Mr. Thomas touched on some scientific issues in his presentation. I will address only one: the geologic time scale. He stated that the geologic time scale is based on circular reasoning: fossils date the rocks and rocks date the fossils. This is a common YEC argument, and it is wrong. The geologic time scale (or geologic column) is a product of inductive reasoning, not circular reasoning. Geologists have observed that, based on fossils, rock layers always occur in a certain order, which geologists have labeled as Cambrian, Ordovician, Silurian, Devonian, etc. The layers always occur in this same order in undeformed (not folded or faulted) rocks. It is never Jurassic-Ordovician-Permian-Cambrian or some other order. Never. There are even some sedimentary basins, such as the Williston Basin of western North Dakota, that contain rock layers of every Period from Cambrian through Quaternary, in proper order. Even in areas subjected to severe folding and faulting, this “law of fossil succession” holds true once the deformation is unraveled. There is no circular reasoning here. I could say much more, and I have spent more time on our differences than on our common ground. But as old-Earth and young-Earth Christians, our common ground is much greater, and much more important. The universe was created from nothing by the triune God of the Bible. The universe belongs to God and displays his glory. Humans are created in the image of God and therefore have great worth. Humans are place in a position of responsibility over the Earth, and yet are embedded in Earth’s ecology. Humans are sinful, which has broken our relationship with God, with each other, and with the creation. Jesus Christ is the savior, the redeemer, and the king over the creation.